Send a caring message in a unique way! 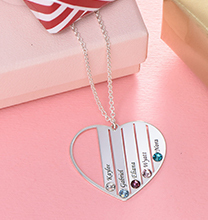 Our Heart Necklace in Sterling Silver with Semi-Precious Gemstone offers lots of lovely details that add up to a beautiful new take on a classic favourite. 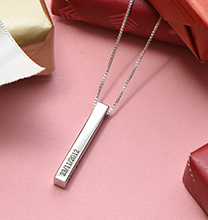 The perfect necklace for mum, grandma, or that special friend who means the world to you, it’s also ideal as a maid of honor gift or a present for your sister. 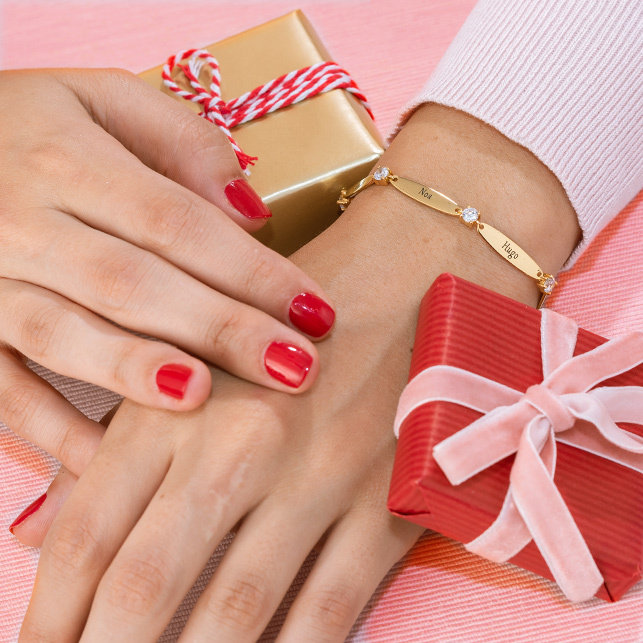 We won’t be at all surprised if you decide to treat yourself! 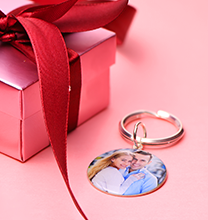 This gorgeous, one of a kind love heart necklace features two pendants. The first one is a smooth heart shape, which is engraved with the inscriptions of your choice. 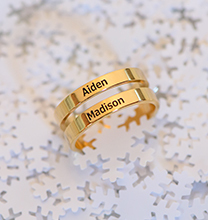 You can choose kids names, your name and that of your significant other, initials, an anniversary date, or a few meaningful words to provide inspiration or encouragement. 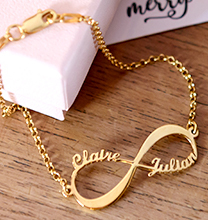 The sky is the limit, so feel free to be creative as you decide how to customise the pendant! Next, add a semi-precious gemstone. There are six different colours from which to choose. Emerald brings beautiful green colour, rose quartz lends a soft, feminine touch of pale pink, and rainbow moonstone offers clean, crisp white colour. 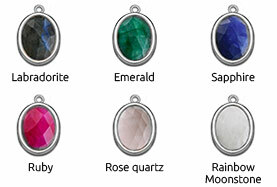 The ruby is a deep pink colour, while the sapphire is beautiful blue. Black labradorite adds natural contrast and depth. This beautiful necklace is made with Sterling Silver 0.925. The pendants are arranged on our new beaded chain, which is also in Sterling Silver. We invite you to visit our collection, where you’ll find even more heart pendant necklaces to love!